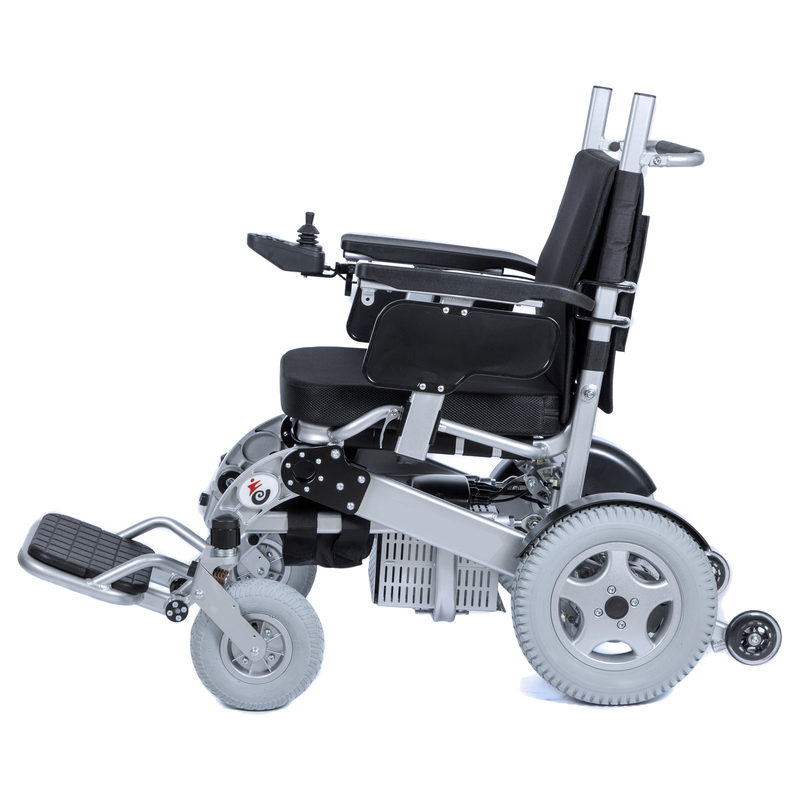 The EZee Fold Heavy Duty Folding Electric Wheelchair is a high weight capacity portable electric folding wheelchair with a large 20" x 20" seat that is designed to fit larger than average adults. 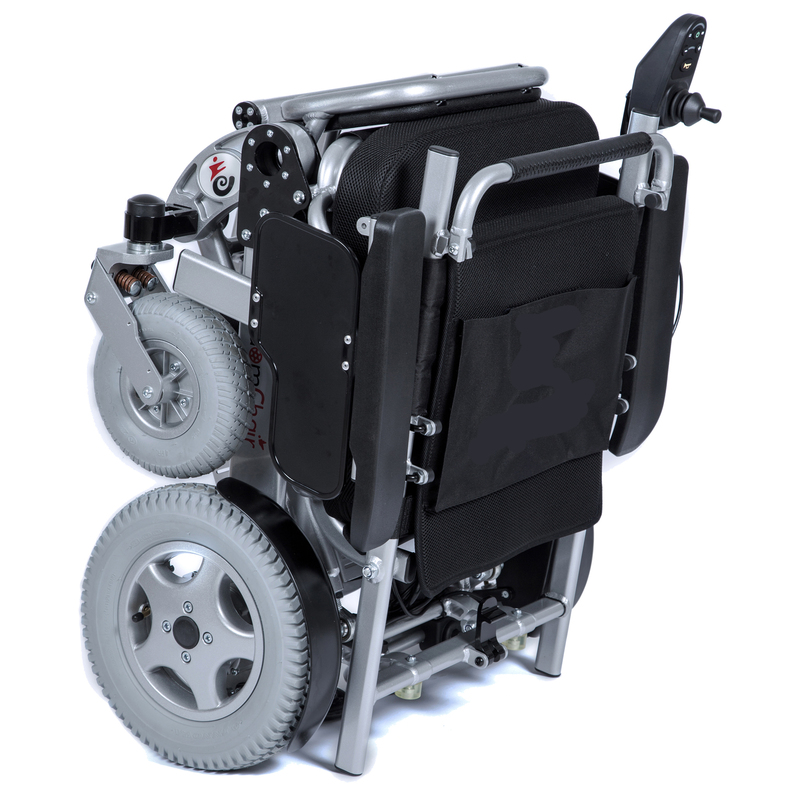 Its high 500 pound capacity and 20" x 20" seat size make it the largest and highest capacity folding electric wheelchair on the market that I know of. 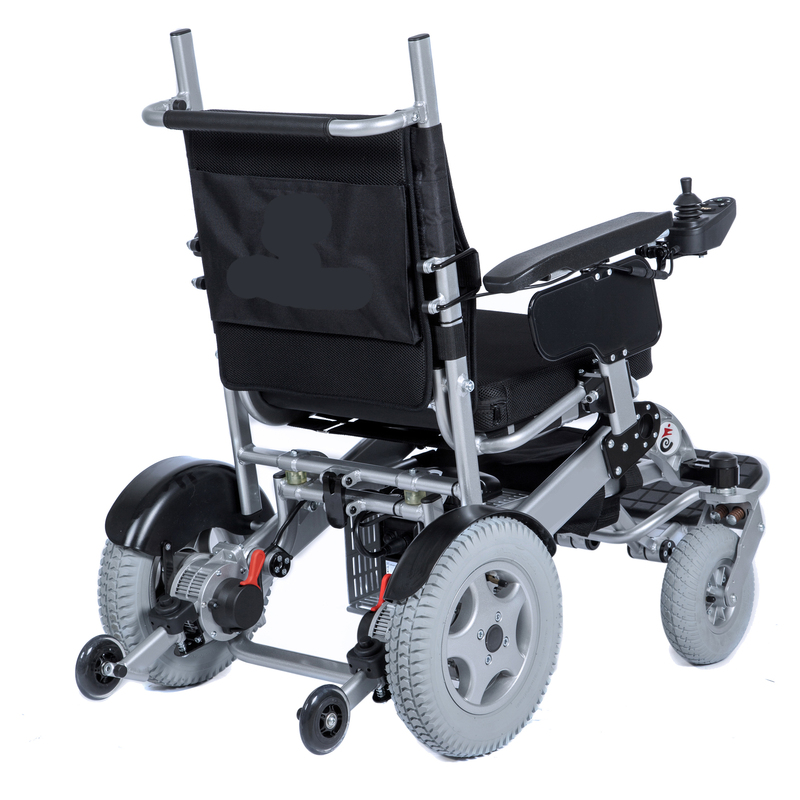 These wheelchairs provide many of the same features as the other EZee Fold wheelchairs making them an excellent choice for those needing a mobility device that can easily fold for transport, provide independent mobility and be used both indoors and outdoors, home and away. The EZee Fold G4 is supplied with 1 battery but 1 or 2 additional batteries can be added to increase range and power if needed. As with any powered mobility device the range will be affected by user weight, terrain traveled, condition of batteries and ambient temperature.